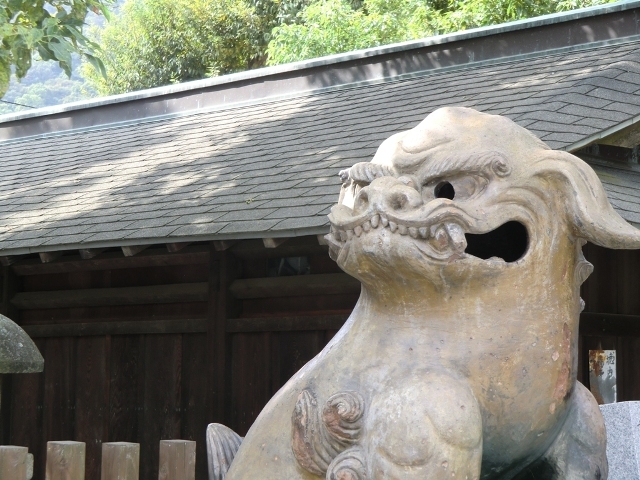 Iwaseo Hachiman-gū in Takamatsu is a special temple to me. 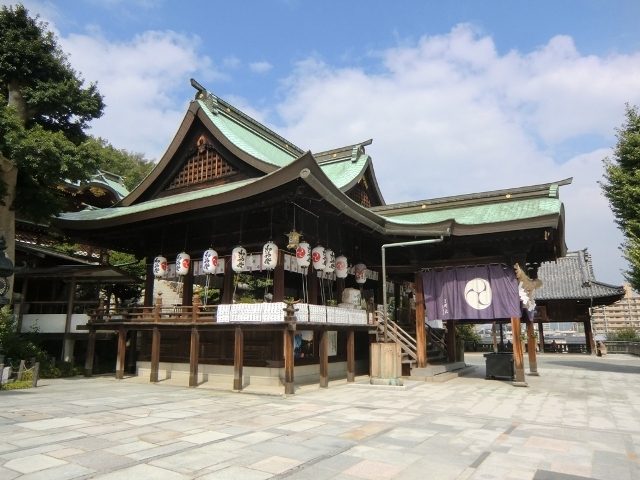 It has nothing special in appearance, it looks like many other Shintō temples all over the country, although it is one of the main ones in Takamatsu if not the main one. It’s special to me for two reasons, first it is 康代’s neighborhood’s temple and it is also the very first Japanese temple I have ever visited, back on my first trip to Japan. In other terms, even though I have seen more magnificent, ancient and amazing temples since, it will always be one of the most important to me. And being back there after almost two years was a treat. 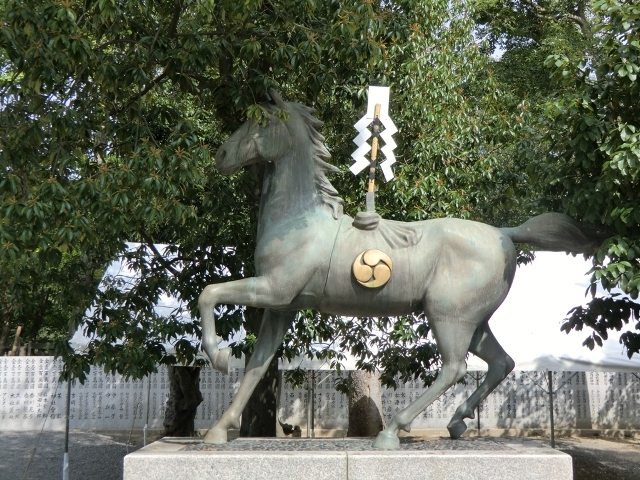 It is dedicated to the Kami who are protecting Takamatsu. 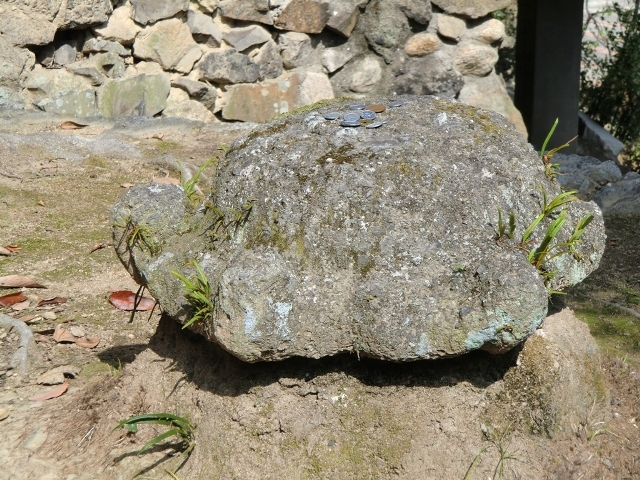 It is said to have been founded in the year 918. 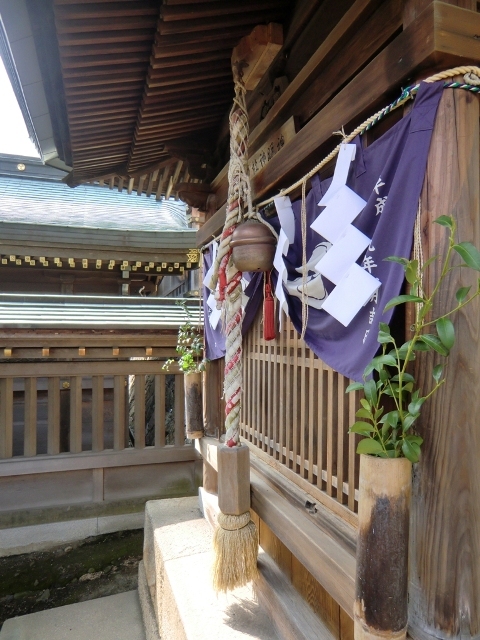 It is affiliated with the Iwashimizu Hachiman-gū in Kyōto. There are two Matsuri a year, one of them being around October 15 (What a coincidence! This was the day I was there! But there were no Matsuri around. Could it be that it was going to be two days later? During the weekend? ), the other one around May 1st. This dog has the particularity to have a hollow head, literally. I don’t know more about it. When one prays to the Kami, one rings the bell so that it hears you and pays attention to you. The practical sense of the Japanese is everywhere, even in religion. I will end with this small anecdote. As we were almost finished visiting the temple and ready to leave, a priest ran to us and handed me a few sheets of paper. Surprised, I took them, realizing that they were all warm, fresh out of a copy machine. They were copies from a book in English explaining the basics of Shintoism! The priest had seen me from afar and the first thought that came through his mind was to stop doing whatever he was busy doing at the moment and make those copies so that I can get the valuable pieces of information and don’t leave with no understanding of what I had just seen in this place. I was so touched that I didn’t dare to tell him that I already knew this temple as well as the basics of Shintō. I just thanked him warmly and profusely. Thanks for stopping by and for your suggestion Avery. Yes, I guess I’ll start doing that, as long as I underline I’m reproducing a text and that it is not mine, there shouldn’t be a problem. Finding the source may be hard though, there is no bibliographical information on the pages. We’ll see.